Our Seniors are Out of This World! The senior class have finished their individual presentation activity for the spring semester. 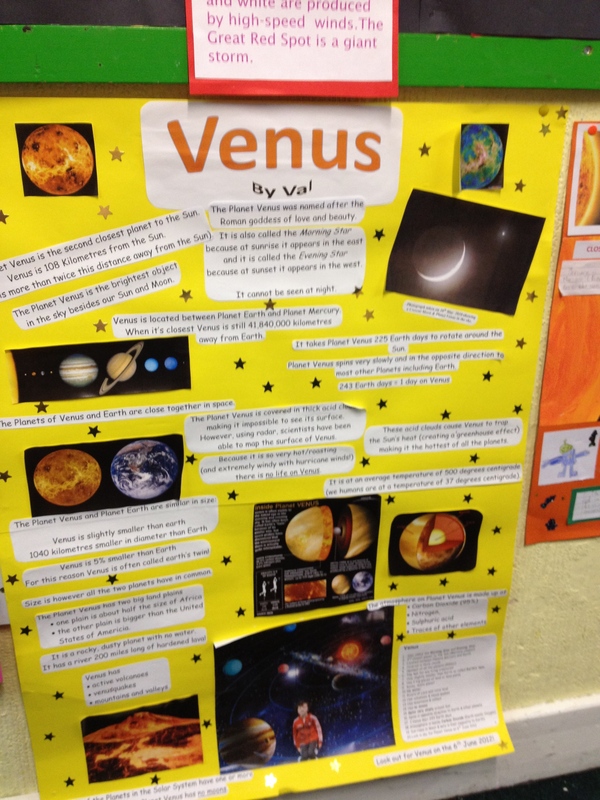 This time the topic was, the Solar System and the students really went to the ends of the Milky Way with the effort involved. 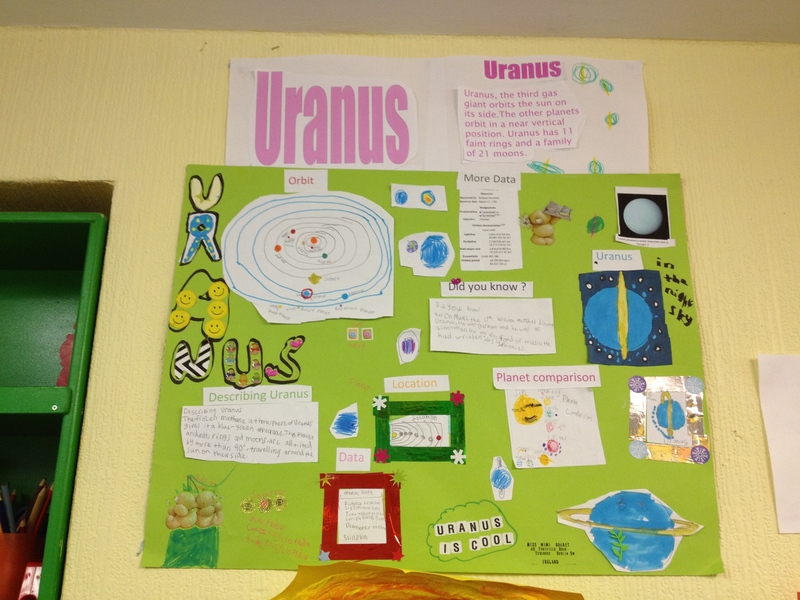 and teachers to present the information clearly and succinctly. The presentations were also recorded on our iPad and if you are a parent and haven’t seen them already, or have but want a copy of the video file for yourself send me an email and I’ll give you access to the secure online storage of them. 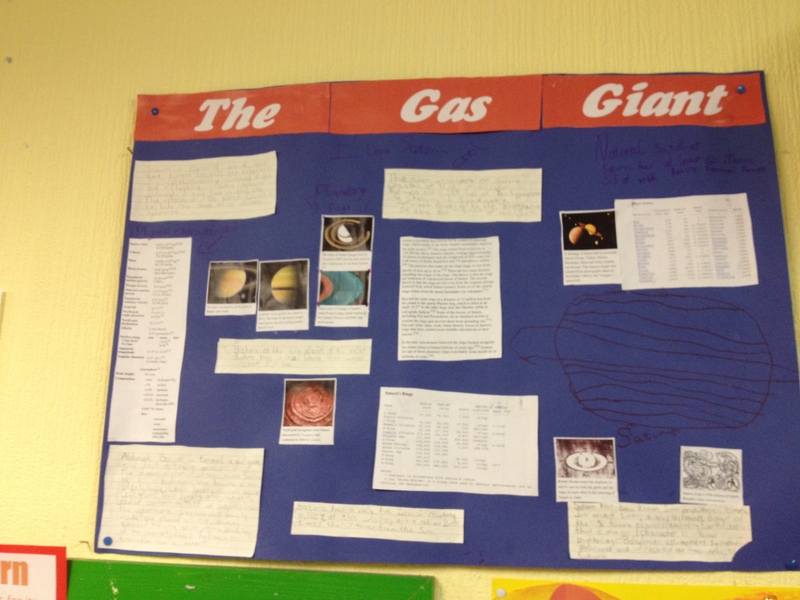 Poster presentations are a wonderful tool for learning, enhancing each individual’s preparation and research. Giving the child practice in selecting the most important pieces and summarising what they have discovered leads to focused learning and appeals to the students, visual, logical, verbal and kinesthetic learning styles. 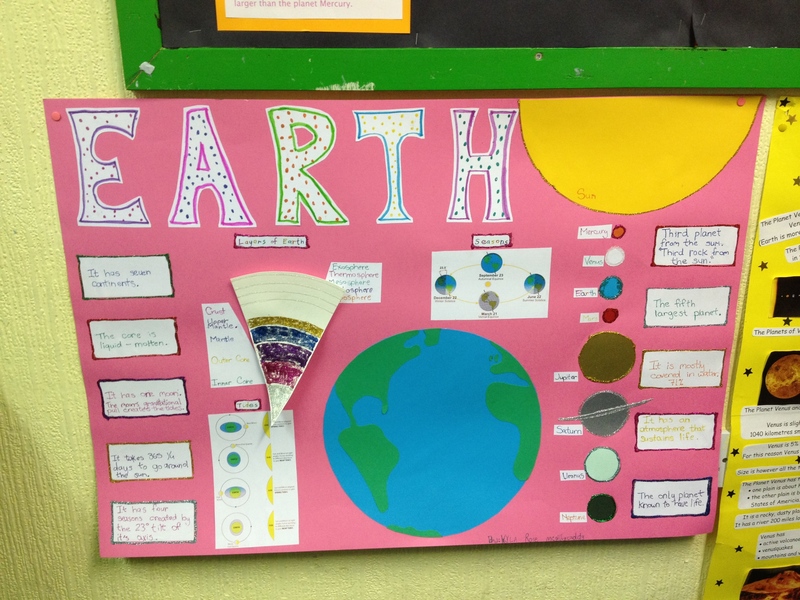 Allowing the child to prepare a poster independently heightens their ability to focus on how best to communicate and organise the information they would like to have on the poster gives them a sense of the flow of information both visually and verbally. Of course the presentations themselves are a learning experience and our future public speakers will have no confidence issues at all. 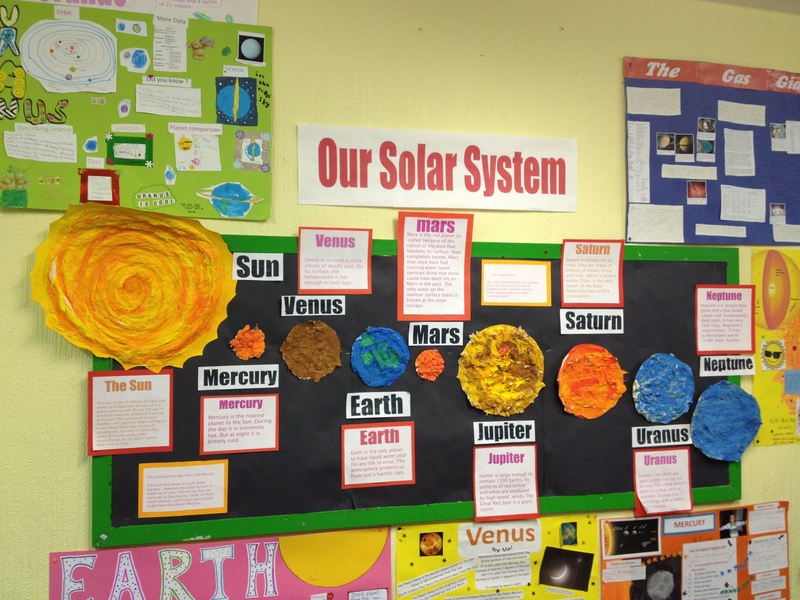 Montessori education allows for peer-to-peer teaching as a large part of the method. 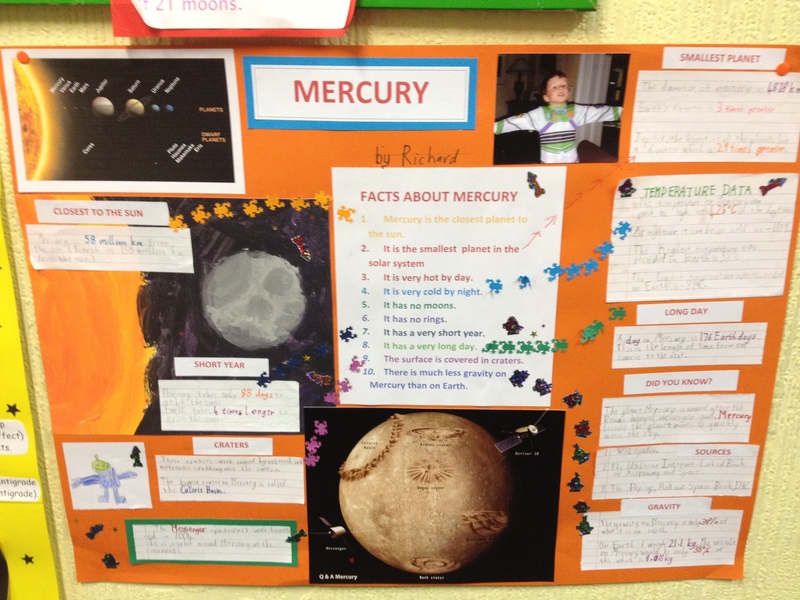 Children who have mastered particular task are encouraged to demonstrate the lesson to younger classmates. This creates a bond in the class and helps the younger child emulate their older classmate, and gives the older child confidence in delivering a message to one or more people. 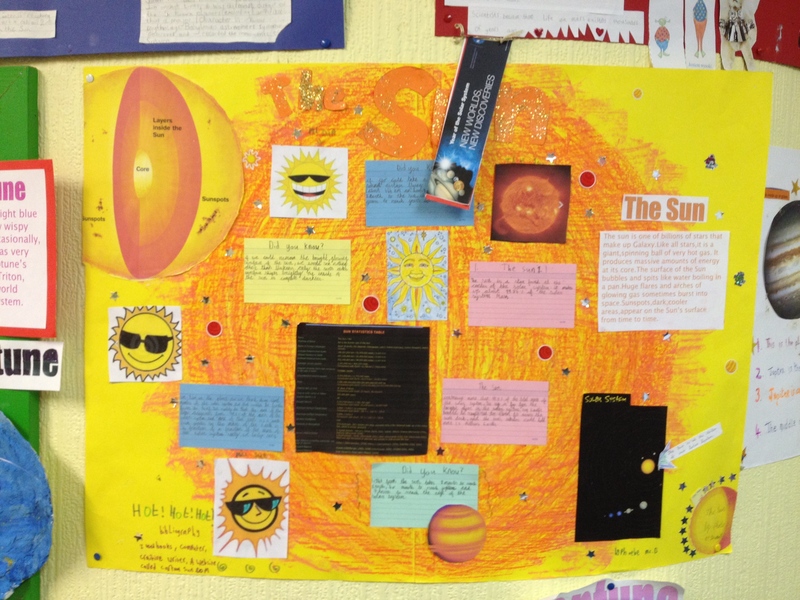 All this amazing research and presentations was founded and furthered by the group classwork on the major theme of the solar system. 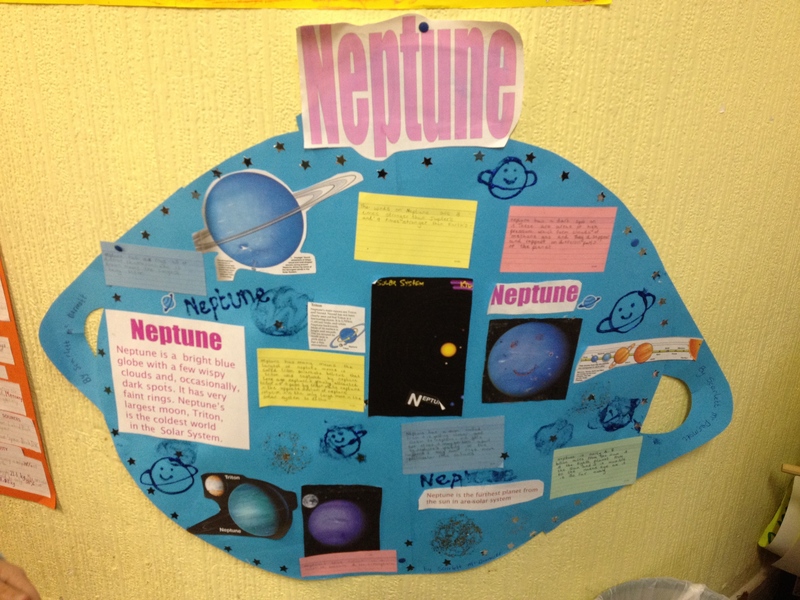 The class created a fantastic collage solar system around which their presentation posters were placed, so that everyone could benefit of the research. 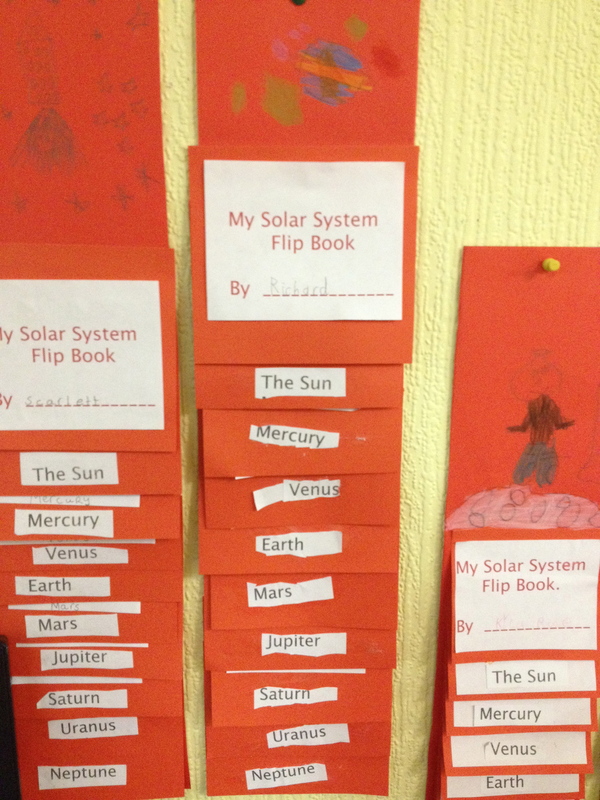 They also created some really interesting flip books on the planets, showing what they learned from their classmates presentations. 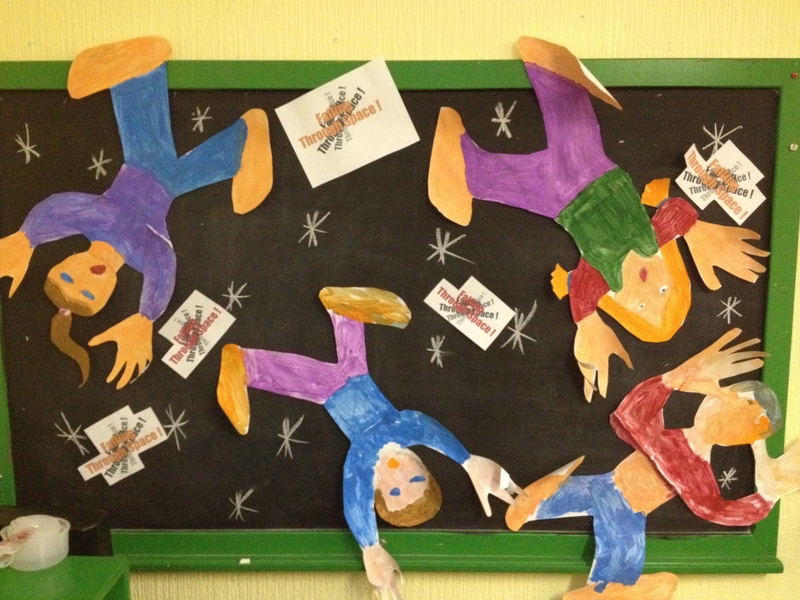 Finally their last art project was “far out” as they depicted themselves falling through space. 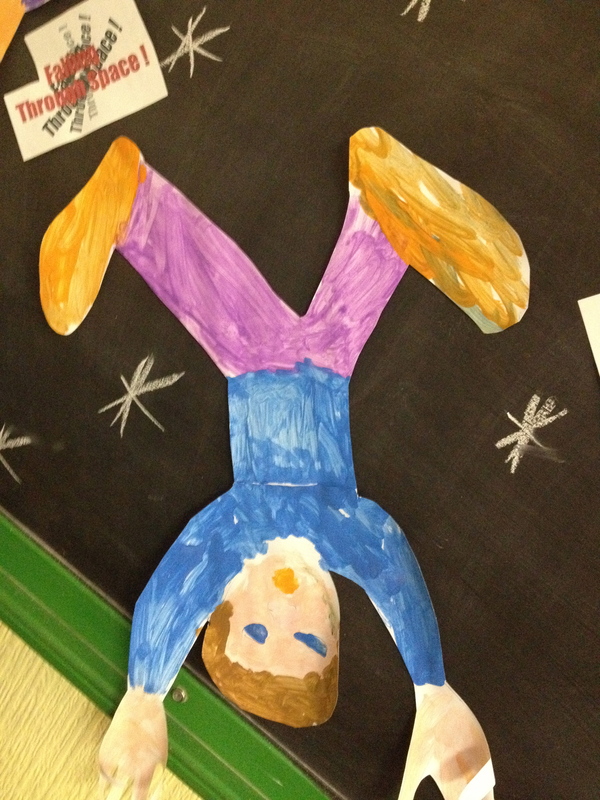 Using tracings of their own hands and feet, they learned about perspective and drew their bodies falling backways! Very spacey! Come back soon as we will be posting all the fun of our Leprechaun hunt, and news of our Easter activities. Not to mention our Open Day on May 12th. If you are a past pupil, current parent or prospective student, we’d love to meet you and show you our great work in person. 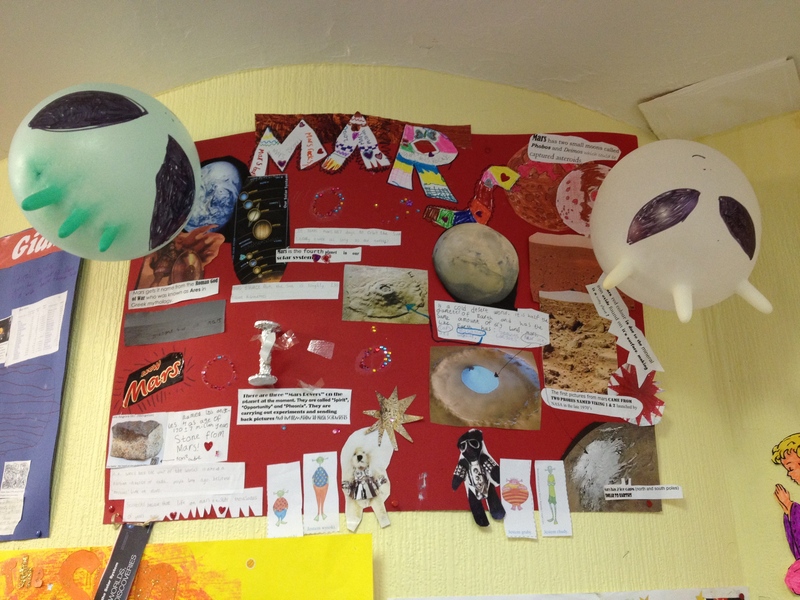 Have an "out of this world" week!